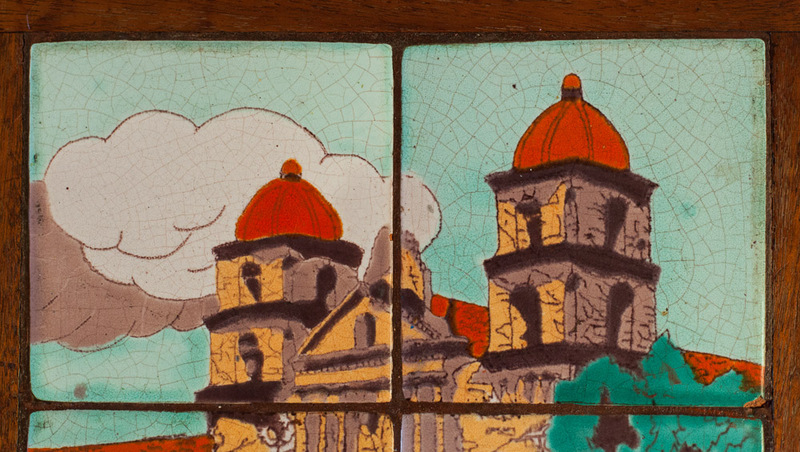 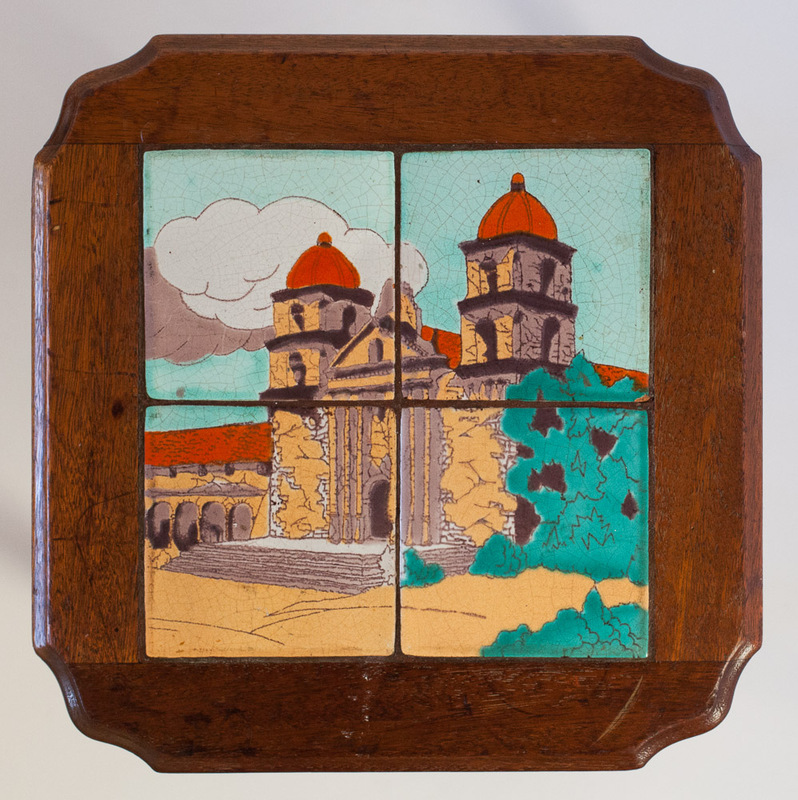 The silk-screened tiles are shown on page 158 of the California Tile, The Golden Era 1910-1940 (vol. 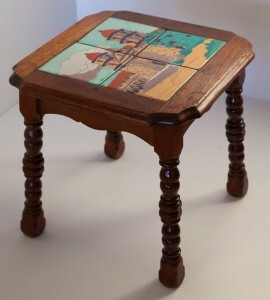 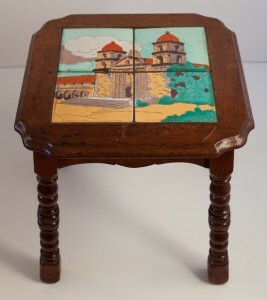 2) as well as on page 257 of the Encyclopedia of American Art Tiles, Region 6. Both panels in the books feature six tiles, not just four. 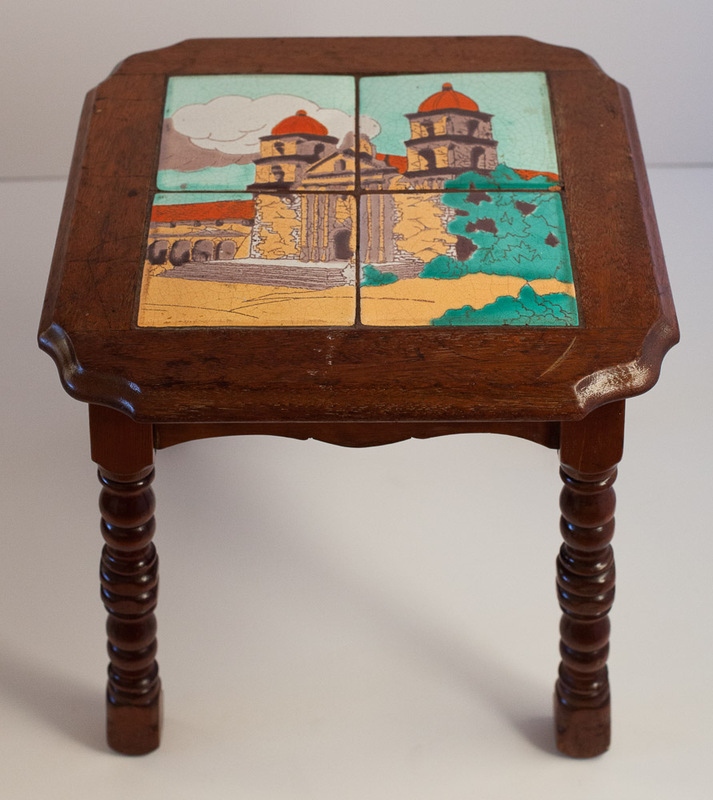 The tiles are generally in good condition. 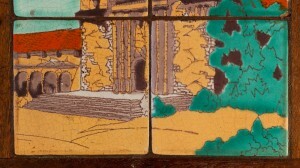 One of the tiles has a small chip in the corner, and all have crackling in the glaze.